Concepts such as 'social body', 'social mind', 'material interdependency', 'object of analysis', 'objects of analysis', and 'social structure' are quite difficult to understand not because the difficulty in comprehending the deeper meaning but the way the words are coined to name the concept. 'Body', 'mind', 'material', 'object', 'objects', and 'structure' have certain meanings on their own. Confusion arises when they are combined with other words to give different meanings which are incompatible with the meanings of the individual words. What is material interdependency? Interdependence means that depend on each other or consisting of parts that depend on each other. 'That' refers to either thing or person. 'Material' is connected with the physical world rather than with the mind or spirit. Therefore, when the concept 'material interdependency' is used in social science the interdependency of persons or actors is to be excluded. How then the interdependency of two physical things is established in social analysis. For example, think of the interdependency of tooth-brush and tooth-paste. The idea of tooth-brush and tooth-paste has come from the human mind. The interdependency also has come from the human mind. The two physical things themselves do not know about the 'idea' or their 'interdependency'. Therefore, the interdependency does not exist in the body of physical things rather it exists in the mind of people. Economists use the term 'complementary goods' to indicate such relationship between two goods. The interdependency is not indispensable. It is only a construct of the mind. It can be dispensed with invention of a single new product which will serve both the purposes. In fact a single product is still in existence in Indian villages where people use neem sticks to clean tooth and tongue. From the above discussion it implies that persons/actors cannot be kept independent of the concept of 'material interdependency'. As the literary meaning of 'material interdependency' does not give any sense we will have to use it as an idiomatic expression. Land is a physical property which is tangible and can be seen. The relationship between the owner and the labourer centres around the underlying physical property called land. The material here is the medium for the relation between the two persons. This particular relationship of interdependency exists because of the material. But the material does not have a mind to know this interdependency. That is to say that the defining activity in the use of underlying material determines the interdependency between two persons or groups. Moreover, the idea of 'property rights' is a concept. From this concept arises the concept of ownership and ownership is either acquired or inherited. In our previous example of tooth-brush and tooth-paste, suppose one country is producing exclusively tooth-brush and another exclusively tooth-paste. As the two products are complementary, the two countries are interdependent. The defining activity of exclusive manufacturing of a particular product makes the two countries interdependent. However, the two countries are free to produce both the products independently and free themselves from the clutches of interdependency unless they think of mutual benefits. What we can say is that interdependency is among persons/actors and centres around the defining activity in the use of underlying material. The word 'material' is taken from 'materialism', a concept which created a lot of debates in philosophy. Materialism is a doctrine that nothing exists that is not 'matter' or that 'matter' is primary and thought or consciousness is secondary. For the doctrine 'materialism', the major contrast is 'idealism'. In 'material interdependency', the underlying material is given primacy and the interdependency is secondary because the interdependency arises due to the underlying material. 'Social structure' is another concept which is employed very ambiguously in different senses by different social thinkers. 'Structure' means the way in which the parts of something are connected together, arranged or organised. In the above sentence, 'something' can denote either matter or idea. When we say 'the structure of a building', the physical parts of the building are connected together, arranged or organised. First a blue print is conceived in the mind of a person and then it is given a physical shape outside the mind. The physical structures become part of morphological milieu which gives an idea about the civilisation of a society. When we say, 'the grammatical structure of a language', the parts are not physical though the rules of grammatical structure can be written or printed. In a different context, it is the power of language that allows us to produce an idea or process which can be written or printed. However, an idea or a process in itself is not a physical thing. It has its own existence which we can't point at a physical thing like a building or a computer. But its existence is a reality. Moreover, an idea comes out from the mind of a person and the probability that that comes out from two or more persons simultaneously is very less. The idea then is transmitted to other persons. Once the idea gains momentum like a snowball then its impact is felt by the society. If the idea is useful to the society, in the next stage, it gets established. Social structure then means the way in which the elements of a society are connected together, arranged or organised. What are social elements? For example, can a building be qualified to be a social element? Since then humans have started to use caves as their dwelling place they established a relation with the place where they live. As civilisation advanced the dwelling place is also changed. What we see is the relation is enduring, the elements are connected, and they are organised. Therefore, a physical structure like a dwelling place is qualified to be part of social structure. Monogamy is an idea which gives a licence to sexual relationships and reproduction to two persons. Moreover, the idea is thought to be an instrument to social order, which is regulatory. Monogamy connects two persons with a relationship which is arranged or organised. Therefore, monogamy qualifies to be a social structure whose elements are the two persons. The very fact that monogamy exists for many generations is the proof that it is enduring. The belief that God exists makes people go to places of worship regularly. The place of worship exists because of the belief. Therefore, the belief is a social structure which connects the people to the place of worship. The relation is enduring and well organised. Followers of certain religion are permitted polygamy. Here, certain religious structure permits certain marriage structure. Therefore, two structures can also be connected by a relation that is enduring and organised. Students of a particular school are directed to wear a particular dress which is regulatory. Here, a student is connected to a particular dress. This connection exists only because of the school norm. The relation is enduring and organised. Therefore, this norm qualifies to be a social structure. What we see now is that a social element is part of multiple structures at the same time and has multiple connections. The social elements are persons and physical things. The structures are, in general, abstract things such as idea, belief, norm, behaviour, etc. The structures also behave like social elements. Connections are made according to the social necessities. The next question is how are the structures placed in the schema? It is like asking which organ of the human body is most important. We can have endless debate on this question. Ultimately we understand that each and every part of the body is important in its function without which our body would refuse to be in fine fettle. This is the functionalists' perspective. The analogy is the organic structure of a human body. In Marxian perspective, the economy is the base structure (foundation) and other structures are built on this foundation which is its super structure (edifice). The analogy is a building, a physical structure. The way we use an analogy is the way we look at things. It is like a sign board. The sign is used to attract your attention. It also gives you a message what is ahead. Another important fact about 'structure' is its stickiness. The word 'structure' is used in almost all scientific disciplines. The thinkers who developed economics heavily borrowed ideas from physics and mathematics (nowadays, the physicists have taken the baton and are running). Similarly, the thinkers of sociology also borrowed many ideas from other scientific disciplines; it was fashionable. So, 'structure' has stuck to sociology. What is social mind? Does a society have a mind of its own? Does mind have an existence independent of body? The last question has really intrigued many thinkers. The theory on 'out of body experience' (OBE) states that the mind or soul goes out of body temporarily under certain conditions. It also states that the mind is connected by a chord to the body when somebody experiences OBE. We do not know whether such a chord exists or not, but what we know is that that somebody lives to tell that experience. And, we do not know what happens to mind after death. We have to wait until science reveals the independent existence of mind. Till that time we can safely assume that mind does not have an existence independent of body. After all every hypothesis is capable of becoming a theory and every theory is capable of becoming a hypothesis. Society is a collection of individuals and does not have a physical body of its own. Therefore, society cannot have a mind. Then, how do we explain the existence of social mind? Actually, there is no such a thing called social mind. When an idea is upheld by most or all of the individuals in a society then it becomes a social norm or belief or custom. This collective representation (Durkheim) is viewed as social mind. Though it cannot think of its own it has an invisible power which is imposed upon the individuals. The collective representation is like an 'invisible wall' which an individual is expected to cross carefully as such it exists. Here, 'invisible wall' is used as a metaphor to explain the concept 'collective representation'. The qualities of invisibility and existence are drawn upon to show the nature of 'collective representation'. Object of analysis has two meanings. One meaning is the aim or purpose of analysis. The second meaning is when it refers to a person or thing which is considered for the analysis. Objects of analysis refer to only the second meaning. The object of analysis is to help the beginners to understand the language of sociology. The objects of analysis are 'material interdependency', 'social structure', and 'social mind' etc. 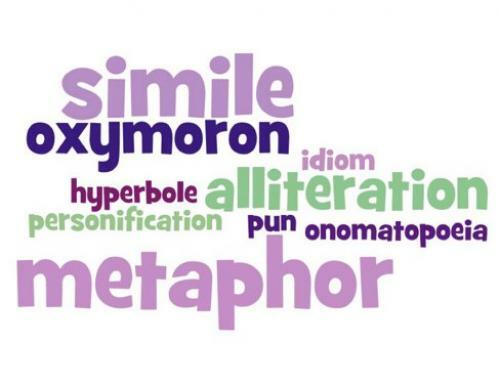 To sum up, analogy, metaphor, and idiomatic expression are great tools to explain concepts which are otherwise quite difficult to comprehend. When common words are used to coin a concept that is technical, the meaning is misunderstood. The meaning of a common word is not the same as the meaning used by an academic. Knowing the name of a phenomenon doesn't mean knowing the phenomenon. Sometimes, the phenomenon is understood by its manifestations and not by how it happens. Water flows from higher altitude to lower altitude. The reason is gravity. But we do not know from where this gravity comes. Language is used to direct the thought of a person. Specific words are used to direct a specific thought of a person. Understanding the language helps a person to know the subject though the language is manipulated often.